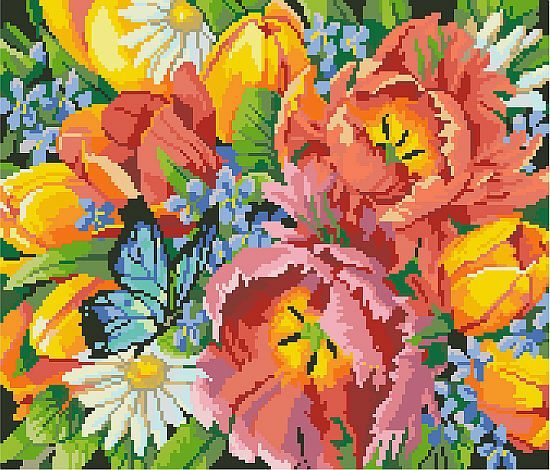 Tulips in a riot of orange, peach and yellow are mixed in with an explosion of daisies and lilacs for one of Kooler Design Studio’s favorite classic floral bouquets. This timeless and elegant floral design will never go out of style and keep your home in eternal springtime. This design will stitch up equally well in needlepoint or cross stitch since there is no backstitching. It would be amazing stitched in big stitch on 6 count Aida fabric.